A Restaurant Manager is usually seen in the action only when there is a conflict between the customers and the staff members regarding the poor quality of the food or if there is any wrong order. However, the role of a restaurant manager is much more than solving conflicts. 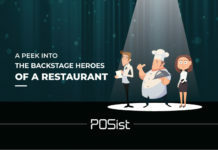 For most of the restaurants, the restaurant manager is the face of the restaurant that is performing a lot of behind the scenes functions to ensure that the restaurant is running smoothly. 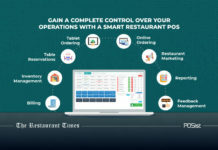 Restaurant managers ensure that restaurants operate efficiently and profitably while maintaining their reputation and ethos along. Read the do’s and don’ts of a good restaurant manager here. Many duties have to be performed by a restaurant manager in the day to day business of running a restaurant. In this article, we will be discussing the primary restaurant manager duties and responsibilities. Get a restaurant manager duties checklist that includes a list of the opening and closing duties. The most important role of a restaurant manager is that managers should effectively coordinate activities between the back and front house for delivering superior quality of customer experience. The one field where any restaurant manager has to excel is in being successful in giving the customers an excellent guest experience. The manager must check that enough staff is available in the service area so that customers don’t have to wait unnecessarily. As soon as any customer enters the restaurant, the manager should ensure that he/she should be greeted with a smile by him. If any customer is unhappy with their meal, it lies on the manager’s line to resolve the issue on an immediate basis. For this, he should be able to train his staff members in a way that whoever comes to the restaurant shall have an unforgettable experience. The restaurant manager has to serve as the primary point of contact for the customers for any service issue. The manager also has to look after the customer’s complaints and suggestions. Many times when there is a conflict between the customers and the staff, no matter how unreasonable the customer is, the manager should be equipped with the patience and expertise to be able to deal with any issue swiftly and avoid future conflicting situations. 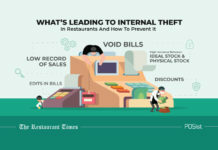 In case the situation is uncontrollable, it lies as the restaurant’s manager duty to deal with this cleverly and ask the guest to clear the dues and leave the premises. The business aims are to give excellent customer satisfaction so that the customer will return. More authority should be given to the restaurant manager for overseeing the details of the restaurant which will allow the owner to only focus on tasks which are extremely important. Placing orders for food, equipment, and supplies may fall under a restaurant manager’s purview. The job description of restaurant managers also includes tracking food costs and raising menu prices when necessary. Read in detail how to choose the right vendor for your restaurant here. The restaurant manager should keep a check on the inventory and make sure that they are regularly itemized, counted and replenished. He should also supervise the Purchasing and Receiving of the stock items. The restaurant manager should create a Purchase Order based on the stock requirements of the restaurant. The Purchase Order should include all the specifications such as Product Name, Number of Units, Standard Grade, Weight/Size, etc. Another thing that falls under the duty of the Restaurant Manager is to supervise the Storage of the inventory items. The items should have proper storage, and a separate area for storing dry, refrigerated, and frozen goods. The Restaurant Manager also must look after the maintenance and repair of the restaurant’s equipment. When there is a need for replacement, placing orders for machinery and its installation also falls on the manager’s shoulder. 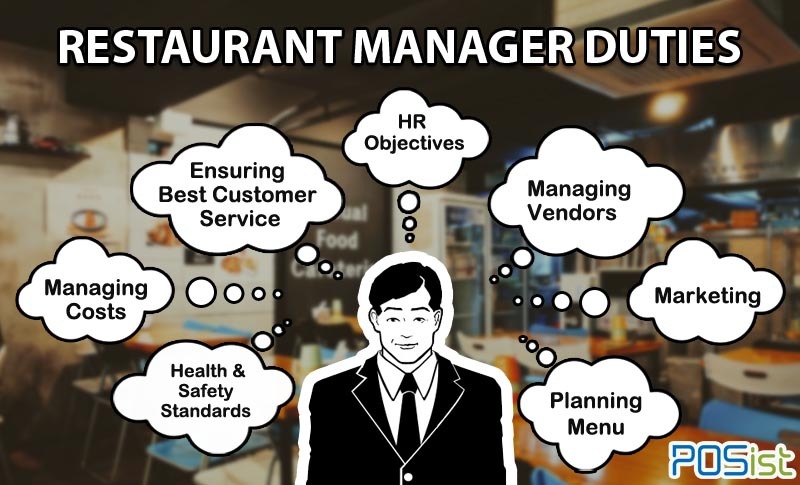 The restaurant manager must perform the Human Resource functions which include hiring, selecting, training, planning, monitoring, appraising, reviewing job contributions, planning and evaluating compensation actions, and enforcing policies and procedures among the staff. A Restaurant Manager should make the weekly schedule for employees making sure all shifts are covered. Staff Hiring – First the manager has to reach out to various portals on which they could announce that their restaurant is hiring with the specific job profile for the multiple positions. 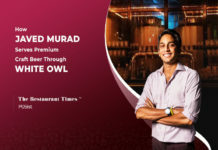 The candidates are then shortlisted for the multiple rounds of interviews that have to be conducted by the managers, and the final round has to be undertaken by the Managing Director of the restaurant. Staff Training- The induction program has to be conducted by the manager post-hiring where the restaurant’s profile and work guidelines are shared in details. Then the training of the selected candidates starts for a particular period as decided by the restaurant’s terms and conditions. Employee Assessment- Assessing the restaurant employees’ performance is also an integral part of the Restaurant Manager duties. The manager should assign specific tasks to each of the employees for clarity. Enforcing Policies- The Restaurant Manager should also ensure the restaurant’s HR policies are in place and are implemented. In a fast-paced, moving restaurant, usually, when there is a larger team, there is a possibility that conflicts might arise. But it is very important that these conflicts are dealt with immediately after negotiations from both sides of the parties. So in such a scenario, the role of a restaurant manager is also to mediate and resolve employee conflicts by listening to the story of both the sides. 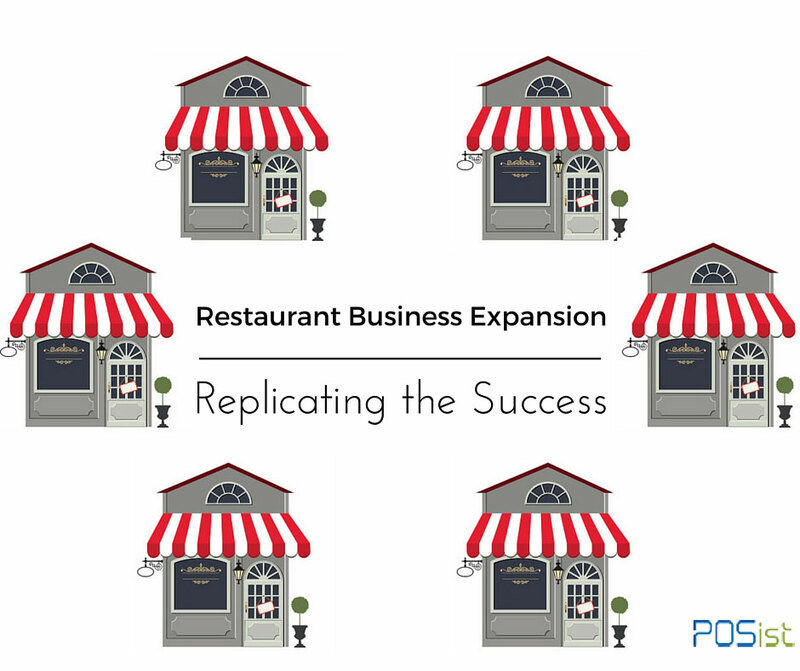 Learn how to create a Human Resource structure for your restaurant here. 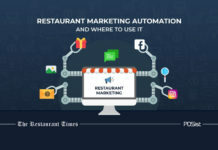 Marketing is integral to the success of any restaurant; thus it is also the responsibility of the restaurant manager to ensure all marketing activities are carried out well. The manager needs to decide on the platforms which can be used for the advertisement of the restaurants. 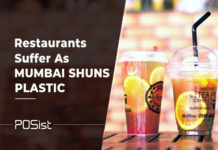 If there is already a marketing team in place, the manager should time to time have a meeting with them and decide upon new ideas for promoting the restaurant. 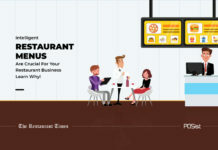 Online Marketing is one of their restaurant on social media channels such as Facebook. 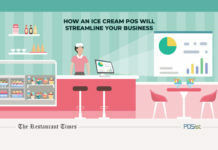 The manager should also run Loyalty Programs or promotional SMS and email campaigns. Learn more about running a successful SMS and email campaign here and here. The manager should be well aware of both what attracts their target customers and what might bring in a bad review for the restaurant. that the equipment that is required is in place. The special menu or the drinks had to be pre-decided for the event and prepared accordingly. Also if any restaurant organizes live competition like best dish or likewise on a wide scale, the major concern has to be security. For example, in Molecule Air Bar when there is any live competition happening like Cook to Chef Competition, the manager looks after that the security executives are placed wisely to keep a close tab on every area of the restaurant. It is the duty of the manager also to ensure that if any mishap takes place, the security staff informs the administration without any delay and further deal with the trouble patiently and swiftly. Another duty of a Restaurant Manager is to plan out the menu for the restaurant after consulting with your executive chef depending on the food choices of your target audience. The manager should be smart enough to do a prior estimation of food costs and the profits that would come out of it. Smartly position your best dishes. Try to create something special in your menu. Keep the language of the menu simple. The manager also needs to be aware and flexible enough to update the menu when needed. Guaranteeing the restaurant complies with the health and safety laws is one of the primary roles of a restaurant manager. The manager should make sure that the restaurant follows the health and safety guidelines issued by the FSSAI. 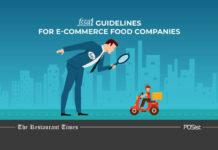 Read more about the Food and Safety Guidelines all restaurants should follow here. 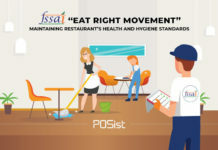 The manager is responsible for overseeing the order and cleanliness of the dining areas, kitchen areas, and restrooms so that the restaurant is not in violation of any health and safety regulations. Many times, Budgeting is often overlooked as part of restaurant management. A budget is a financial plan designed to forecast the sales your restaurant can achieve and the expenses required for achieving those sales. It is the duty of the manager to keep a daily or weekly tracking of the expenses to keep the costs under control. 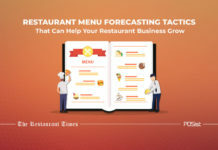 The manager should also come up with ways to effectively manage the restaurant’s budget and accordingly keep the restaurant costs under control. Tracking and Managing Inventory to Control Food Costs. Read pro tips to control your restaurant costs here. A lot of responsibilities lie on the restaurant manager’s shoulders for the efficient and smooth restaurant functioning. For a restaurant manager to be successful, he needs to be able to communicate effectively and handle problems swiftly. All the above-mentioned duties along with the opening and closing checklists should be followed to avoid any difficulty and complications in the operations of the restaurant. Overall, a Restaurant Manager’s duties include overseeing the operations for the smooth functioning of the restaurant. The purpose of the opening restaurant checklist is to ensure that the restaurant has everything it needs to function for the day. The manager should arrive before anyone else, and start opening the business before the rest of the team shows up. 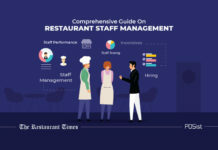 The article is an ultimate guide to, Restaurant Manager Duties Checklist For Daily Restaurant Operations. Thanks for sharing the restaurant manager duties checklist. I am going to use the opening and closing checklist for my restaurant. A restaurant manager duties go way beyond just instructing the staff members. Today they need to account for every small detail. I will strongly recommend every restaurant manager to read through this informative checklist and polish their managerial skills.